There is nothing I can truly add to this other than to say I love this blog post so much and wish I had read something like this with my first baby. Mr. T was not an easy baby and I felt pressured by the “shoulds”. Miss L was the dream baby who fell asleep on her own, an exception. Now, T Dawg is proving to be a baby who will be loved and snuggled to sleep as he definitely nurses to bedtime and naps in a carrier. It’s our reality and our season of life. First time moms really struggle with this. There needs to be more of this message out there. But sometimes, as in my case, you just have to go through it in order to learn to trust your own instincts about what your kids needs. Thanks for posting and sharing! This came at such a good time. We just started to sleep train Liam (first time Mom here, other than being a step mom), because I know he will get more of the sleep he needs, in his crib (he wakes up way too many times a night due to my movements I believe). However, it has been ten months of him sleeping next to me, getting nursed to sleep (that’s slowly stopping), and waking up numerous times a night to be nursed for comfort. He slept so well in his crib, but when he woke up for nursing, I brought him back into bed with me because, well, I wanted the cuddles just as much as he did and then he slept until the morning. I did not have to wake up 1000 times to feed him, it was a completely new experience. Once he finally fell asleep, I looked at my partner and thought, wait- we’re actually alone? What do we do with ourselves? I felt completely lost and missed Liam lol Overall, it really is what works best for each family- but this post made me feel so much better about the choices I have made for the past ten months. Thank you. Truly. Thank you so much for this post. Thank you for this post! It is reassuring and comforting to be reminded that other people also use these sleep associations and don’t see that as a problem. 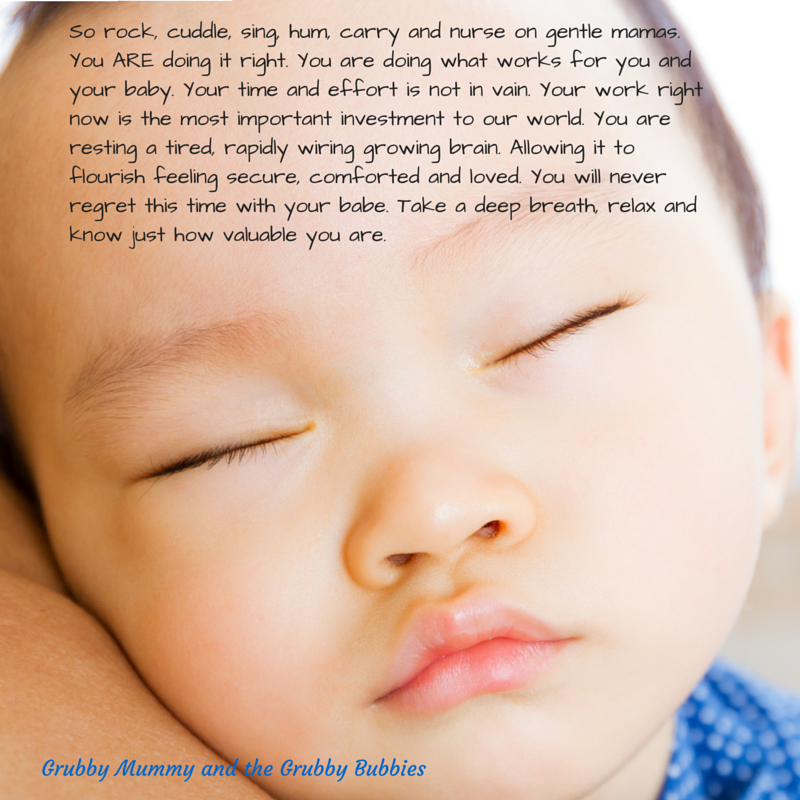 The prevailing message within parenting communities is that independent sleep is the ultimate achievement, being able to put a baby down in their own bed to go to sleep by themselves seems to be the crown everyone seeks to wear.